We are leading manufacturer of Aluminum Grooved Roller with different type of variety. We are a leading exporter of Aluminum Grooved Roller. To match up the varying demands of the clients, we are engaged in offering the extensive array of Aluminum Grooved Roller. 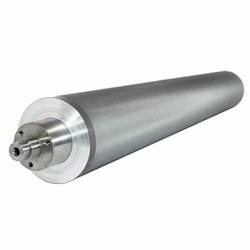 We offer Aluminum Grooved Roller to our clients. We are one of the best manufacturer of Aluminum Grooved Roller. Parth Trading & Mfg. 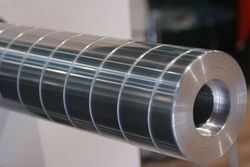 Co.
We are able to manufacture Aluminum Grooved Roller, with the vast support of our team. Kody Rube Tech Pvt. Ltd.